Through discussion and debate it became clear by mid June that, rather than amend the existing Articles, the Convention would create an entirely new type of government. All through the summer, in closed periods, the delegates debated, and remade the articles of the new Constitution.The work of many ideas, the Constitution stands as a model of cooperative work and the beauty of compromise. There are many amendments that give blacks rights but the 14th is a very general and powerful law that was ratified in 1868 and was put into place right after the civil war. The 14th amendment basically gives everyone born in the united states equal rights no matter the race. Even though blacks had many rights law wise the government and the united states didn't want to give them those rights because they wanted to remain as supremacists. Blacks tried to go by there rights but many groups like the KKK fought to keep them powerless which led to blacks rebellion. It gives blacks the right to vote but not only that it also gave them equal rights in everything such as buying and sitting in white places.This is the a connected to voting rights because it gave them all access rights. Being able to vote was very important to blacks because it basically showed the power they had had and show that they have a voice in choosing who can vote and be the leader of this country. It was a law that separated whites from colored in all perspectives such as having different restaurant areas or schools. It is important to voting rights because of how separated they were it gave blacks a low chance of becoming a voter. It also affected them in there daily lives because how little amount of rights and privileges they got which meant that they weren't gonna be aloud to vote unless they did certain things to change that. Emmett was visiting relatives when he went to a store and supposedly he flirted with one of the cashier at the store. four days later he was kidnapped by the women's husband and his half brother who killed him. 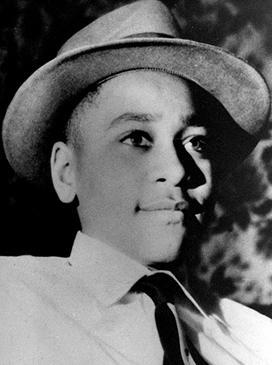 They were taken to court but because he was acquainted by a white jury they were found Innocent and free of charge. This was a big spark to the black movement because of the injustice and was a big memory to many as a reminder of the racial hate there existed. This was a movement that was mostly done by young students that felt that they weren't being treated right in eating places. They would basically sit in at eating places and stay there until they were served what they wanted and not based on there color. This was a movement that was seen as inspiring and very well prepared said Martin Luther King Jr. The movement started with four kids who felt like it was racist how they had spaces received just for whites. To many this is the most effective civil rights law ever enacted. It was very helpful in making it diverse in the electoral and legislative bodies at the american government levels. It was a legislation to the discriminatory voting practices that were responsible for the disfranchisement of blacks.